Providing you the best range of gusseted pouches, three side seal pouches, center seal pouches, vacuum pouch, candy packaging film and tobacco pouches with effective & timely delivery. We are manufacturer, supplier, wholesaler & exporter of Gusseted Pouches. 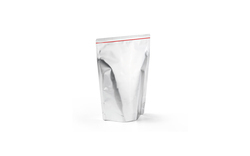 Side Gusset Pouch in the good quality side gusseted pouch, which is recognized as one of the most reliable packaging material. More acclaimed than pet and glass bottles, these pouches provides maximum visibility to the packed products and also adds an eye-catching look to the whole packaging making it favorite among our clients. 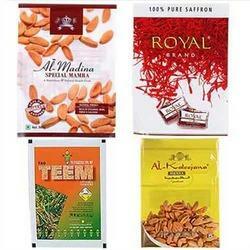 We are offering our clients a wide range of Three Side Seal Pouches. 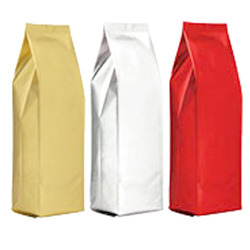 Available in various shapes, sizes and colors, these pouches are sealed from three sides that ensure safe packaging and keep the packed item in its original condition. 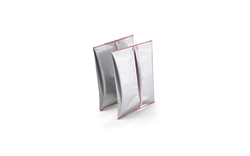 Moreover, these pouches are leak-proof, which make them widely demanded in a host of industrial applications. We are a trustworthy organisation in offering a wide gamut of Tobacco Pouches.